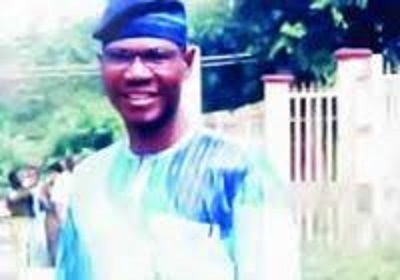 Residents of Abule Ijesha community, Yaba, Lagos State, say the neighbourhood is not safe until the police arrest hoodlums who killed a senior member of staff of the University of Lagos, Akoka, and a final year student of the institution. They claimed that the mastermind of the crime was a drug dealer known to the police and demanded that he and his accomplices be apprehended and prosecuted. The victims, Akintunde Fadugba, of Centre for Information and Technology System, UNILAG, and the 400-level student, Rasaq Akokia, were shot dead on Opayemi Street, Abule Ijesha. It was learnt that the hoodlums, numbering six and reportedly led by the drug dealer had stormed the community around 11pm on Friday on motorcycles and shot indiscriminately. Fadugba, who was said to be relaxing in front of a barber’s – a stone’s throw from his residence – was shot and died on the spot. It was learnt that Akokite was ill and had gone to buy drugs from a chemist on the street. He was returning home when a bullet hit him in the chest. During a visit to the community on Tuesday, it was observed that residents were still in panic as many of them declined to speak on the incident. However, an eyewitness, Sunday Ebah, said he was at a restaurant on Opayemi Street when the hoodlums struck. He said, “I was with a food vendor around 11pm when I saw three motorcycles. While they were approaching a church, they put off the light of the motorcycle. Two persons were reportedly on each motorcycle. “Two men came down and one of them, a tall guy, started shooting. The drug dealer was directing him. “When I saw them, I ran to Martins Street. Two men faced Martins Street, while two others headed towards Odenike Street, shooting. “The UNILAG worker was outside a barber’s when he was shot. They saw the light of a pickup truck arriving in the community and fled. They thought it was a police van. The food vendor, who spoke on condition of anonymity, confirmed Ebah’s account, adding that she abandoned her food and scampered to safety. The food seller’s husband, who was shot in the hand, Lateef Olalekan, said he escaped death by a whisker. A bread seller, who did not want her name in print, said that she was attending to a customer when the attack broke out. “After they left, somebody raised the alarm that they had killed a man. His corpse was brought to the junction and after some minutes, Rasaq’s corpse was found inside a drainage channel,” she added. On a visit to Fadugba’s residence, it was learnt that his family members did not live with him, while residents of a bungalow, where Akokia lived, had gone to work. A community leader, Mr. Omolaja Johnson, said the drug dealer had been unleashing terrors on the community since 2016 when he was sent out of the community. He said, “The community sent him away because he sold all sorts of hard drugs. When we met with the AIG, Zone 2, the policemen he used were dealt with. Everything went well until on March 9 around 11pm when the community was attacked and two persons were killed. The spokesperson for the police in Lagos, SP Chike Oti, said the command had launched a manhunt for the hoodlums. The spokesperson for UNILAG, Mrs. Taiwo Oloyede, confirmed Fadugba’s death, but said she was not aware a student was also killed. She had yet to get back as of press time.